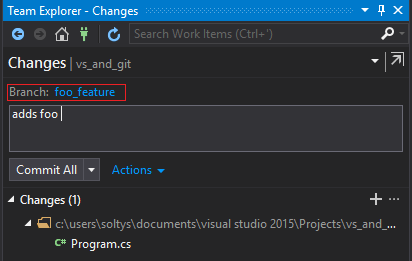 If we was using TFS as our daily source control management system, then we need to change Source Control pluginin Visual Studio settings. 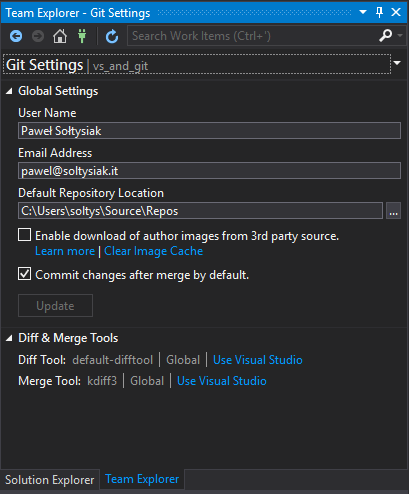 To do this go to Tools -> Options -> Source Control and change Current source control plug-into Git. 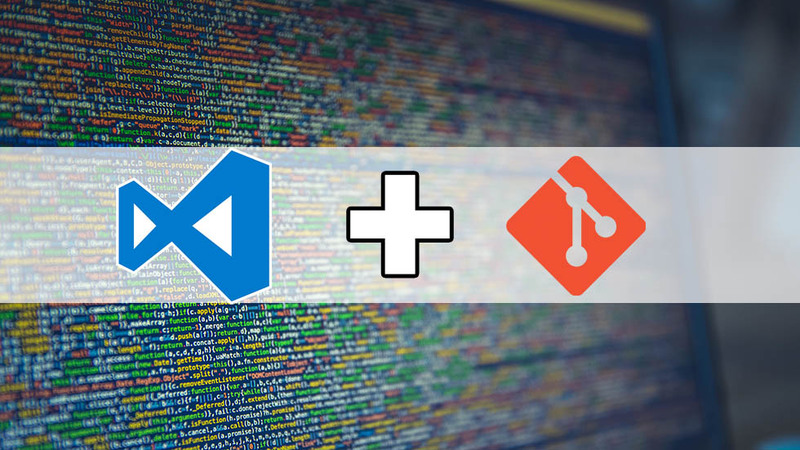 get data from repository git will so smart and change end-of-line characters based on operating system we are using. 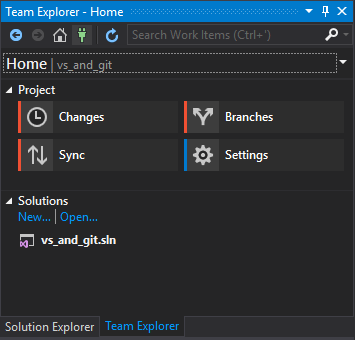 When we open solution under git control when can manage repository by Team Explorer (Ctrl+\ Ctrl+M). 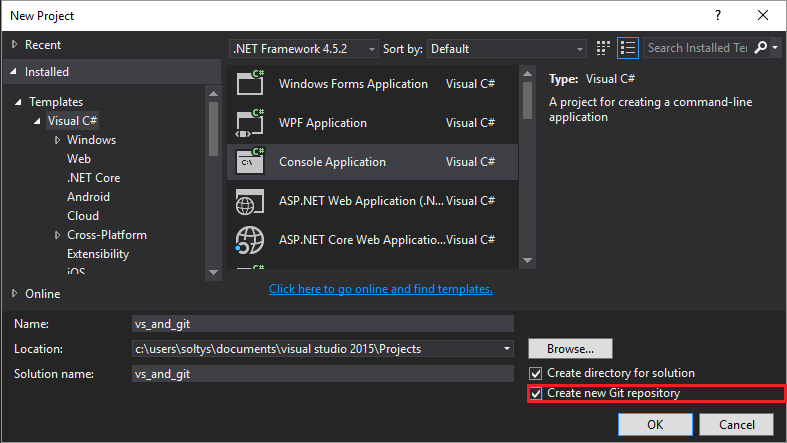 Comparing it with TFS we do not have so many options to choose from for example we do not use Source Control Explorer. Let’s go through them in reverse order, I will start with Settings. settings which is only that one repository. User name and email are values used to sign our commits as us. changes which ware applied. If you don’t want to this commit being automatically created by git you can uncheck this box. We can override global settings which are used to “sign” our commits. 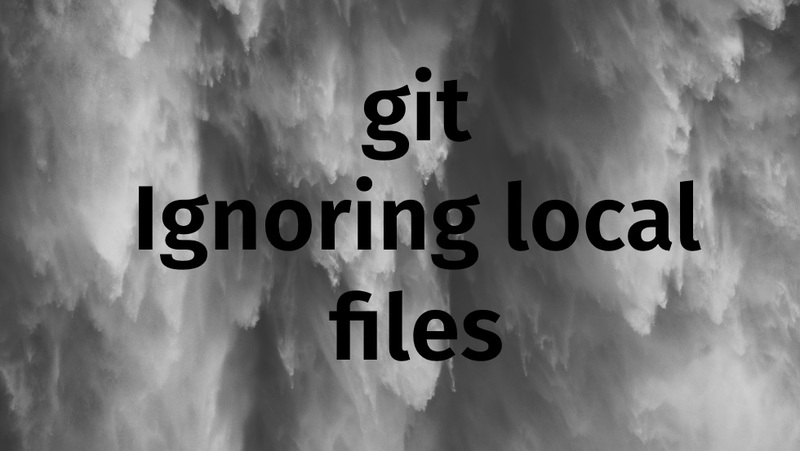 We can acces to files like .gitignoreand .gitattributes to modify them. Name origin is usually used for default remote. our changes to remote server. are changes between our branch master and remote which do not have any branches yet. master name is usually used for main branch in git repository. We can changed it to whatever name we choose. 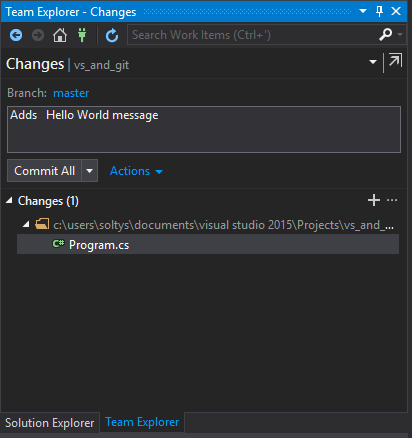 and 2 commits, which was created by Visual Studio itself. 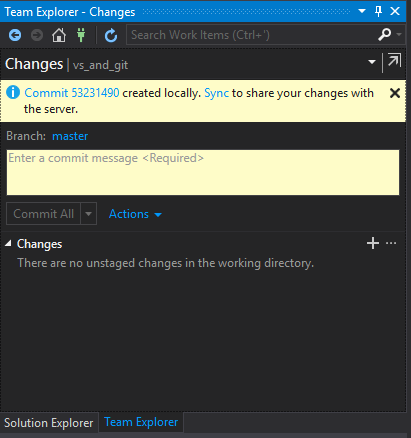 Push – sent your local commits to remote server. into Program.cs file. Change in file should be reflected on changes list. By double clicking on it we can show our changes which we done to this file. To share your changes with other developers you need to sent to remote. 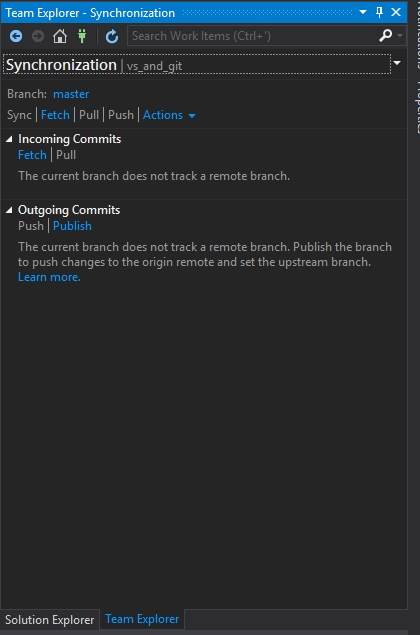 This time git is tracking changes in branch master and can tell what changes are between local version and remote. Let’s send them again by using push button. 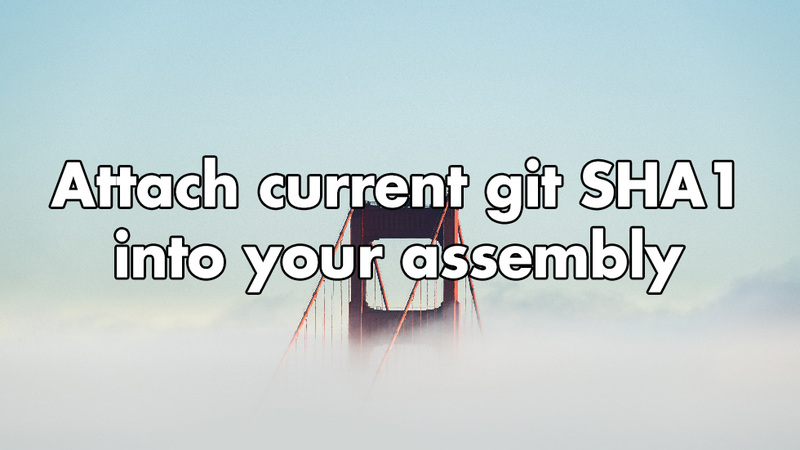 There is a lot ways to organize your team work with git. One of more enterprise way is using something calledgit flow. 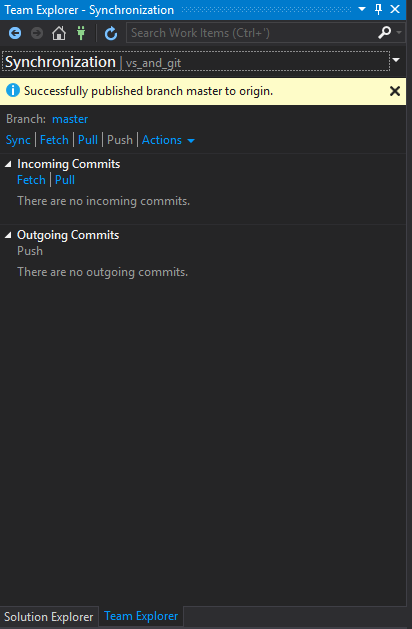 A will not be fully explaining and using git flow further, but one principals is creating separate branch for each new feature and they are called feature branch. It is small only local branch created for a time of development for single feature. 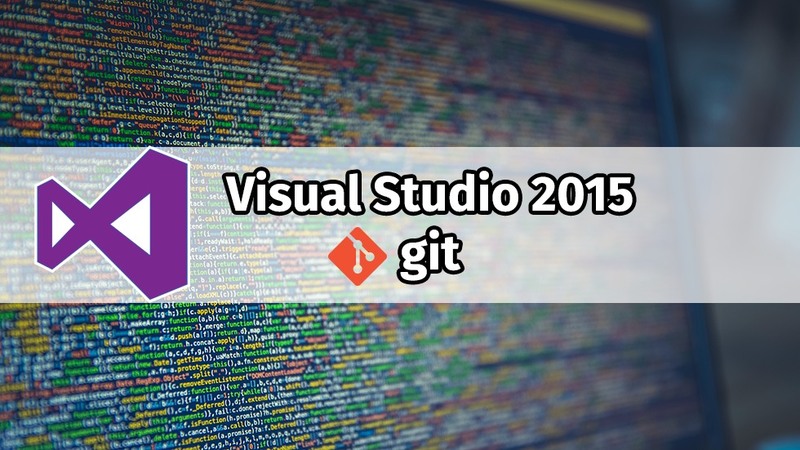 Branch management in Visual Studio is done by Branches panel. Here we have list of all local and remote branches in our repository. Right-click on name of branch we will get some extra options to choose from. Reset – allows us to revert changes done on working copy. Let’s create new branch np. foo_feature. 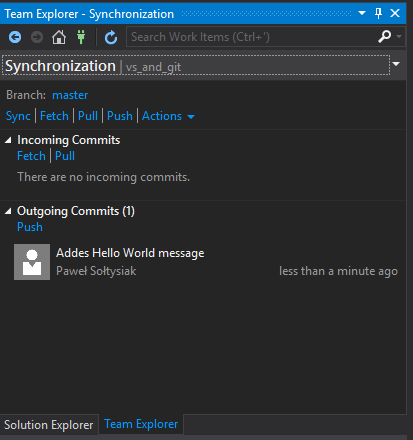 Checkout branch means switching to new branch after it is created. From now on new changes that are committed, are committed to new branch. 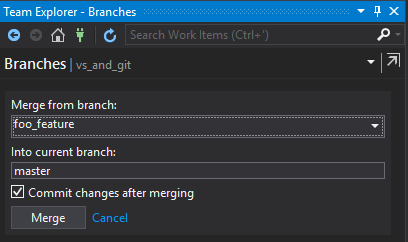 For changes from branch foo_feature being moved to master branch we must do a merge. 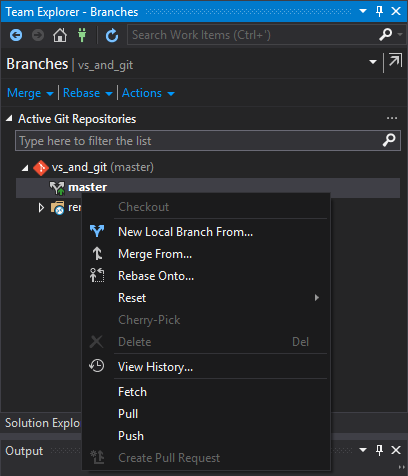 Checkout to branch you want changes to be pulled-in, in our case it is master branch. 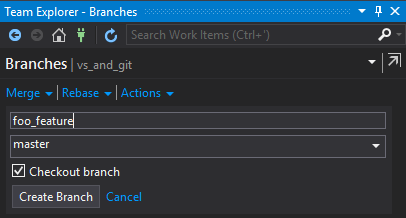 To switch to other branch you need to got into Branches and then do double click on selected branch. 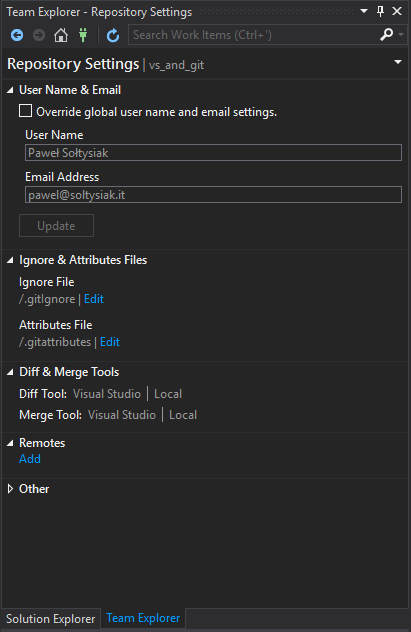 Last thing to do is to confirm merge by clicking on Merge. I am sure you want to share changes with others, to do so you need to go into Sync panel and push changes to remote server. I think it is usable tool for day-to-day work load. I still think that knowledge of console based git usage is faster and more precised. I need look at this plugin, how it behaves when very thing is going wrong.